Have you ever wished that an author would write a book especially for you? Well, this is it! It was also written for your family, friends and neighbors—for we're all prisoners of something. The prisons addressed in this book are not those built with tall stone walls and iron bars; they are self-constructed places of incarceration that diminish our freedom. And so, the escape plans presented in this book are intended to help millions of prisoners break through the walls of anger, fear, impatience, prejudice, religion, advancing old age, as well as those shackled by the clock, crowded schedules and their work. In this his twenty-fifth book, Edward Hays has distilled over forty years of experience as a priest and spiritual guide, particularly aided by his recent work as a chaplain at a state penitentiary. In his characteristic creative, eye-opening writing style he weaves in insights from contemporary theology, scripture and psychology. As a result, Hays provides the reader with a daily, workable Spirituality of Liberation based on the lifestyle of Jesus the Liberator who began his liberating mission by announcing his intention "...to set the prisoners free." 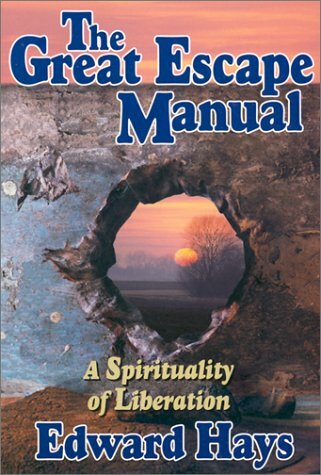 This escape manual translates that divine commission into practical ways to be set free from the countless realities of daily life that can hold us captive. In this truly down-to-earth escape manual, each chapter concludes with an Inventory of Escape Tools and Unshackling Reflections. This "how to" section provides practical, doable techniques for getaways from various dangerous emotions, negative attitudes and self-enslaving behavior. After reading this book, you'll return again and again to this Inventory of Escape Tools for practical assistance. Open this book anywhere, to any chapter, and you will find both a challenge and a practical way to daily live in the "glorious freedom of the children of God."